You cannot discharge overdue child support amounts in any bankruptcy, including Chapter 7. However, a Chapter 7 bankruptcy can still help if you owe back child support by freeing you up from paying other debts which can be discharged. Filing for bankruptcy will trigger an automatic stay which keeps creditors from trying to collect from you and must cease all contact with you. At the same time, there are benefits to filing a Chapter 7 bankruptcy when you owe child support. Any nonexempt property sold by your trustee in a bankruptcy will probably go towards your child support creditors before the money goes to your credit card debt. In this way, child support is prioritized higher than other debts under bankruptcy laws. Filing for bankruptcy and ridding yourself of your other debt can thus make it much easier to make your child support payments and allow you to catch up on back child support. 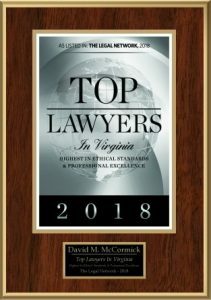 If you are unable to pay your child support and/or are considering filing for bankruptcy, contact David McCormick Law Group for critical legal counsel and representation.